make/do workshops are designed to inspire you to try something new, refresh your rusty skills or advance you to a new level in a friendly and supportive environment. All workshops will be hosted at The Green Nunhead (unless otherwise stated), and run by the make/do team or talented local crafters, and will include all materials (except where specified), instruction and refreshments. Places are limited so do book early. We look forward to seeing you at make/do! To book, email us at niki@make-do-crafts.co.uk. A 5 week course to take you from rusty to confident, whilst rustling up some super projects. 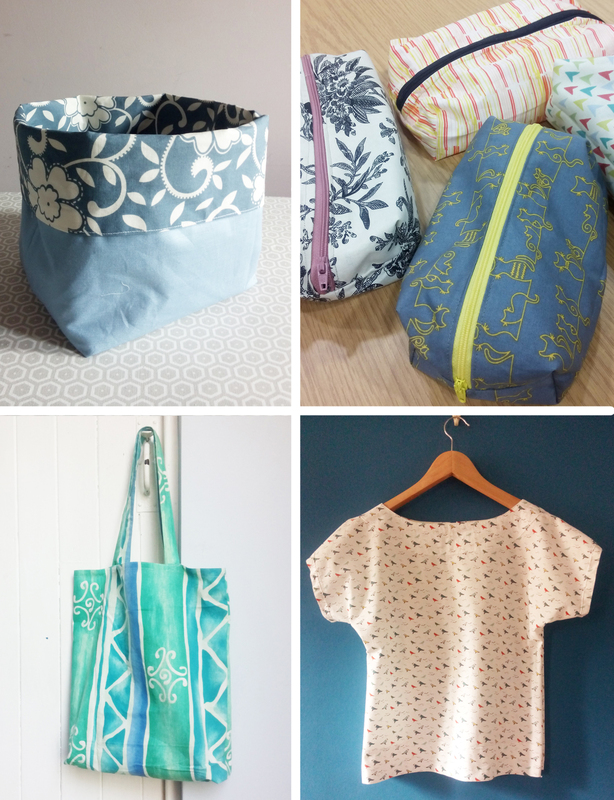 Bring along the sewing machine you have hiding under the stairs, and remind yourself that you can create something handmade! Learn the basics of using your machine and handling the fabric, and find out what you can do with all those different dials. If you are happy using your machine for basic projects, then we often have a range of classes to up your game. Keep checking back for more dates. Niki is also running one-off classes at the Really Maria haberdashery on Lordship Lane, East Dulwich. See our Facebook page for more details. If you would like to get to grips with sewing, but can’t make it to the 5 week course, then please do email us about private tuition. If you have a sewing machine, Niki can come to you… Even better, buddy up with a friend and we’ll make an occasion of it. In the run up to Christmas we host a range of workshops for you to make gifts and decorations with local designer/makers sharing their skills and advice for the perfect homemade Christmas. Kirsty’s Homemade Fair eat your heart out! Last year we had Calligraphy, origami, terraniums, sewing and christmas wreath making. Full list of dates and booking details coming soon. Watch this space.